The star often called the most mysterious in the galaxy has begun darkening again. Scientists are now rushing to watch the event with as many telescopes as they can muster to attempt to understand what is causing its bewildering fluctuations of light. 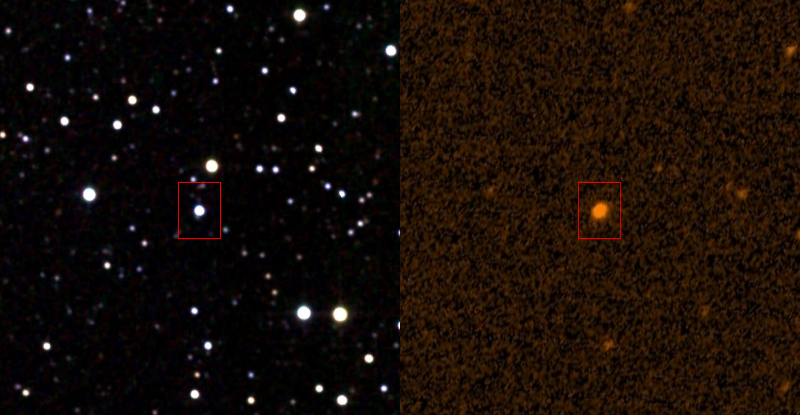 The star, called KIC 8462852 and nicknamed “Tabby's Star” after Yale University astronomer Tabetha “Tabby” Boyajian, first made news in 2015 when researchers discovered something odd about its light, whose strange brightenings and dimmings have even caused some to speculate it might host alien megastructures around it. The star is an otherwise-normal F type star—slightly larger and hotter than our sun—located about 1,480 light-years away from Earth in the constellation Cygnus, the Swan. When astronomer Boyajian and her colleagues analyzed data from NASA's Kepler space telescope, however, they found dozens of strange instances of KIC 8462852 darkening up to 22 percent. On Friday, 19 May, Tabby’s star began to dim, carrying on a history of mysterious dips in brightness. Astronomers are scrambling to point as many telescopes as possible at the star to decipher its strange signal. In 2016, a review of old photographic plates revealed that KIC 8462852 dimmed by 14 per cent between 1890 and 1989. The star faded by another 3 per cent over the four years it was observed by the Kepler space observatory. Astronomers have come up with a huge variety of different potential explanations for the star’s strange behavior. Some say it could be because of its interior dynamics, some say it could be surrounded by a swarm of asteroids and debris. Or maybe it’s dimming because it devoured a planet at some time in the past. Most famously, some astronomers have said that the dimming could be caused by an orbiting alien megastructure. Because Tabby’s star has cultivated such an air of mystery, the response to its new dimming has been quick and enthusiastic, with some telescope observations of the star already planned over the next few days. If we’re lucky, new observations may just help us figure out what’s making KIC 8462852 dim (it’s probably not aliens). If any one of the trainee face any type of login issues, iReady Clever they can place that on the student iPads, the pupil will certainly log in utilizing their Wayland Google account.